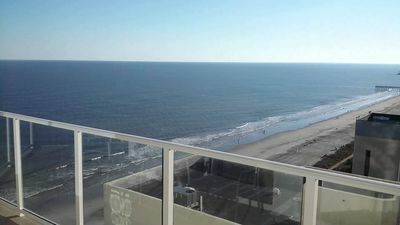 No need to worry about finding your perfect myrtle beach area vacation rental -- keep calm and beach on is the luxury home you seek for your next trip to north myrtle beach. 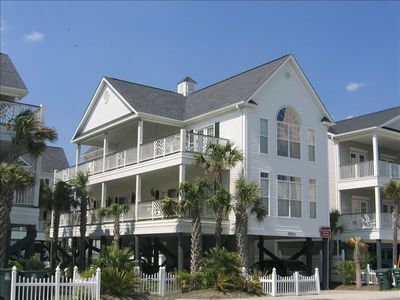 This fabulous vacation rental is located on a saltwater channel in the cherry grove section of north myrtle beach. 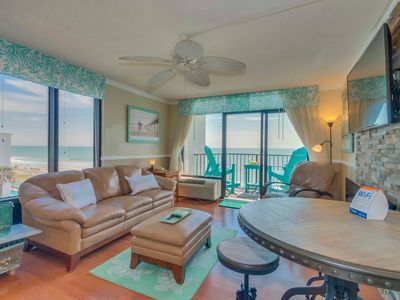 Spread out in keep calm and beach on seven bedrooms and five and a half bathrooms. 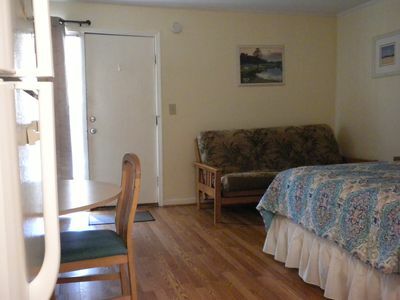 The 7 bedrooms are layed out with 12 queen size beds and 1 king bed. 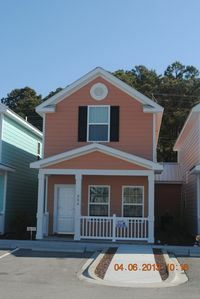 There is room for 26 vacationers in this north myrtle beach vacation rental. 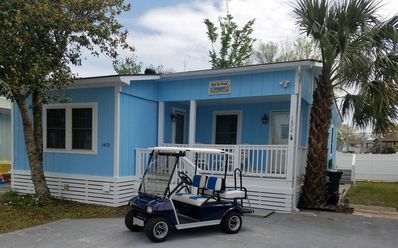 You and your guests will love the homey touches of this vacation rental. Prepare snacks and meals in the kitchen with full-sized stainless steel appliances. Eat together at the breakfast bar or dining room table. 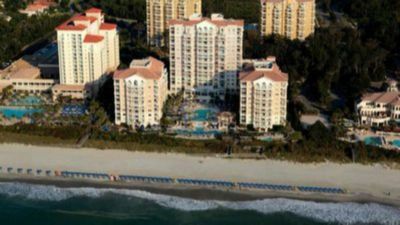 A washing machine and clothes dryer are provided for you so you do not have to drag dirty, sandy towels back home. No one should be bored when he or she vacations at keep calm and beach on. 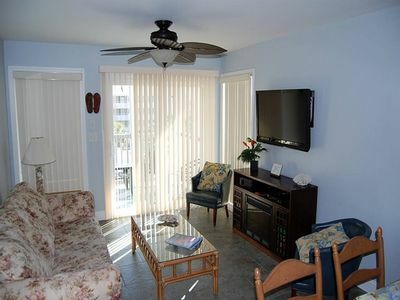 This luxury home provides nine flat screen TVs and eight DVD players for your entertainment. 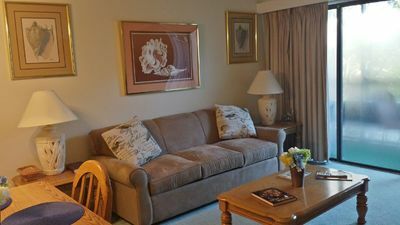 There is wireless Internet so everyone can stay connected. 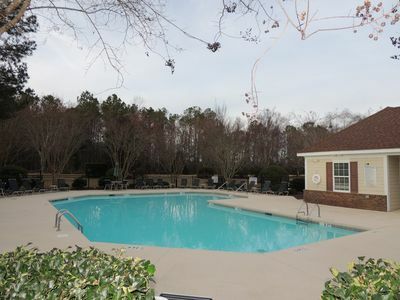 Spend an evening challenging each other to a game of pool in the game room or golf on the putting green below the house. 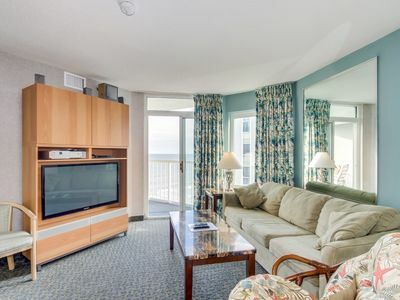 There are entertainment options everywhere you turn in this North Myrtle Beach rental. 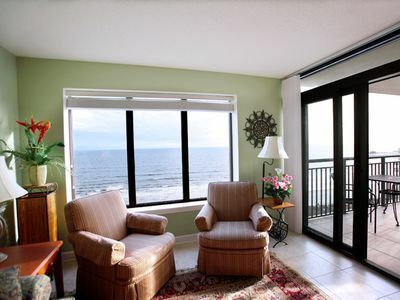 Two luxurious balconies in Keep Calm and Beach On overlook the channel. 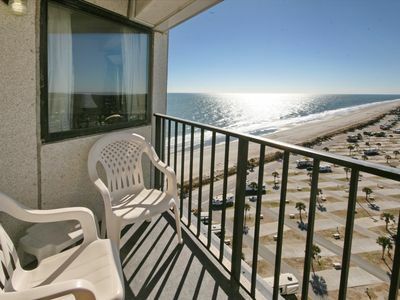 Enjoy spending your beach vacation on a different body of water. Fish and crab from your backyard. Kayak through the salt marsh. 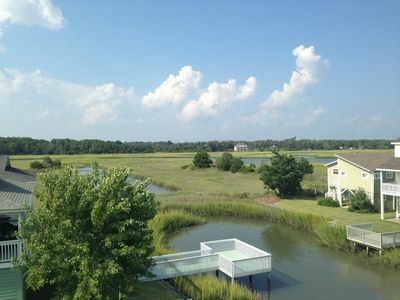 Walk through the nearby nature preserve. 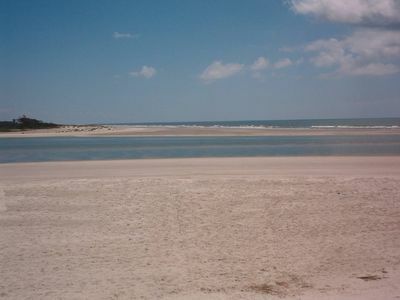 Then head to the beach. 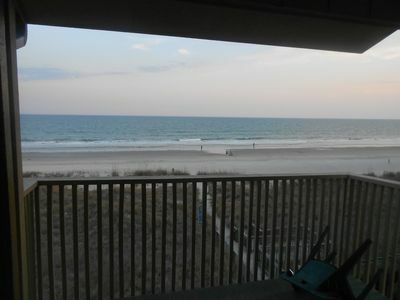 Just a short walk away is the wide, sandy beach and the Atlantic Ocean. Spend the day frolicking in the sand and surf. 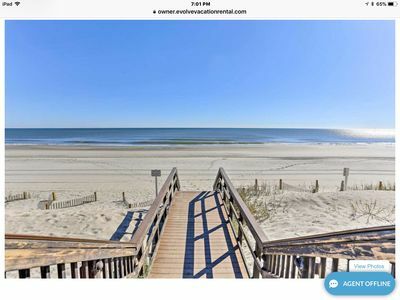 You will love being close enough to walk to Keep Calm and Beach On when you want a snack or a cold drink. 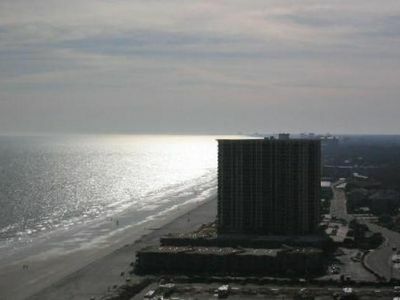 Also near this luxury vacation rental are countless Myrtle Beach amusements. 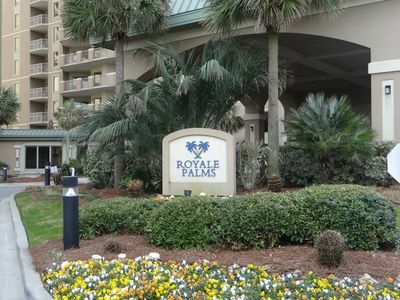 Book a tee time at one of the 100 local golf courses. Indulge in dinner at a seafood buffet. Scour the outlet malls for great deals and hidden treasures. Charter a fishing boat. Go on a parasailing adventure. 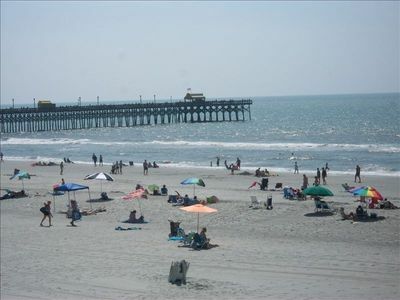 Keep Calm -- all of the excitement is waiting for you here in Myrtle Beach. Brand new hardwoods installed December 2017! 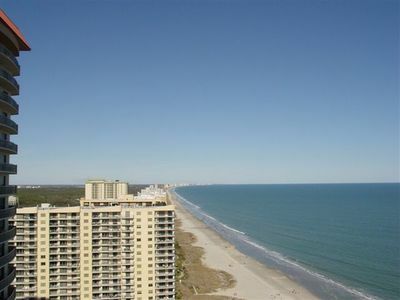 By the beautiful waters of Myrtle Beach.